Tracy Chevalier is the New York Times bestselling author of seven previous novels, including Girl with a Pearl Earring, which has been translated into thirty-nine languages and made into an Oscar-nominated film. Born and raised in Washington, D.C., she lives in London with her husband and son. "[Chevalier] creates a world reminiscent of a Vermeer interior: suspended in a particular moment, it transcends its time and place." 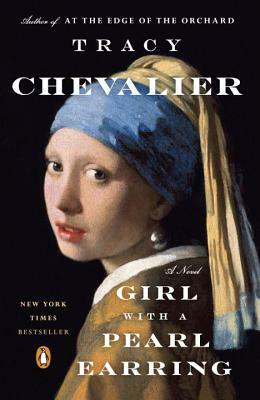 "Chevalier brings the real artist Vermeer and a fictional muse to life in a jewel of a novel." "A vibrant, sumptuous novel... triumphant... a beautifully written tale thatmirrors the elegance of the painting that inspired it." "Chevalier has so vividly imagined the life of the painter and his subject."